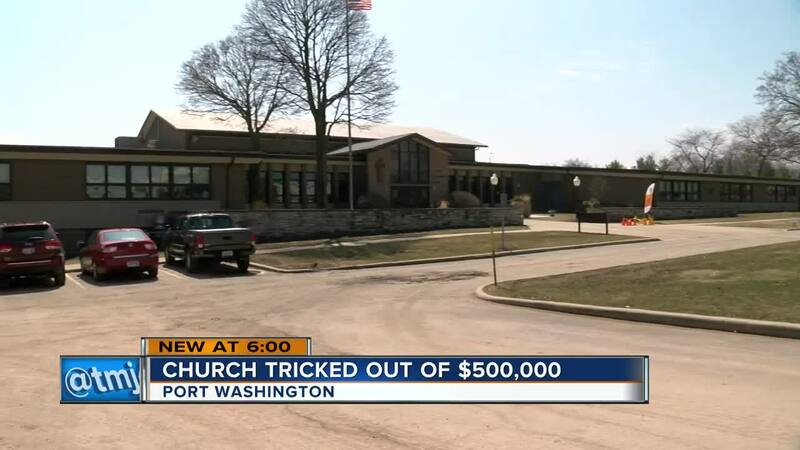 A local church was swindled out of $510,000 in donations, money that would have been used for their school expansion project. The Archdioceses of Milwaukee is warning other parishes and parishioners to stay vigilant. St. John XXIII is in the process of building a 19,700 square foot addition to their school. They hired a local construction company to complete the project and renovations. According to authorities, in February the church received a fake letter their contractor's information on it informing them they had a new bank account for future payments. A few days later, a false representative from the company then called the church to verify they received the letter. The representative continued to build a relationship with the church over the phone and through email until their payment to the new account was due on March 4. St. Johns XXIII transferred the funds and received a fraud alert from their bank. Their contractor never received the funds. After being made aware of the situation, the church then notified the Port Washington Police Department. Amy Grau with the Archdioceses of Milwaukee said scammers are becoming smarter. In this case, building a relationship with the parish. "Scammers are getting much more elaborate on how they move forward with scamming individuals and businesses. It’s not just the archdiocese here. I know we had dioceses around the nation have similar issues," Grau said. Grau said this is not the first time a parish has been targeted. In the last few months, crooks have used pastors' names and fake emails to convince trusted members and parishioners to purchase iTunes gift cards. "It looks so legitimate, just like the incident with Saint John XXIII, it looks so legitimate. It’s hard to decipher the red flags," Grau said. The dioceses sent out emails to their pastors informing them of the incidents. Grau hopes people will stay vigilant and use extra caution. "Take your time make that extra call, maybe even two extra calls to make sure where your money is going and donations are going to the place you want it to go." "We really want to make sure the parishes even the Milwaukee community at large are aware that this is happening so they can take extra precautions and safeguard moving forward," Grau said. Port Washington police said the case is now being investigated by federal authorities. It's too early to tell if the church's fund will be recovered.